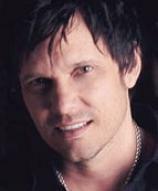 Ted Dekker is the author of more than 20 bestselling novels, including THE PRIEST’S GRAVEYARD, THE BRIDE COLLECTOR and BONEMAN’S DAUGHTER. While most of his books contain elements of fantasy and speculation, they also incorporate enough logic and reality to stir the reader's imagination in unexpected ways. FORBIDDEN is the first in a series titled The Books of Mortals that promises to become a classic in the mode of BRAVE NEW WORLD, 1984 and ANTHEM. That is, more in the class of “Star Trek” than Mad Max. "For anyone who has not read Ted Dekker, there are many treats in store. For those who enjoy FORBIDDEN, we have two more in the series to look forward to. So it's a win-win." The story plays out against a background that resembles a medieval land that has somehow attained modern technology. Except that “Now personal electricity was rationed. Televisions existed in public spaces and for state use only. Computers were restricted to state use. Planes, reserved for royal business, were a rare sight to Byzantiums's overcast sky. And the only firearms in the world existed in museums.” Could the world ever come to a place like this? Dekker and Tosca Lee very convincingly show us how. It began with chaos --- chaos that followed a war that nearly destroyed civilization. Those remaining were willing to accept any plan that would keep them from ever having to go through it again. So, when genetic scientists developed a way to remove all negative, passionate emotions from humankind in order to ensure peace, no one objected. Of course, along with the negative passions, the positive passions were also eliminated. Generations grew up not knowing what it meant to love, to feel compassion, desire, or hope. Then a secret that has been guarded for centuries by a series of Keepers is finally revealed to a young man named Rom. It was not a random choice but one made years before that only waited until the appropriate time to be accomplished. Rom is charged with guarding a vial of blood that was kept from being corrupted by the geneticists --- blood that could restore life and humanity to the world. The conflict that results between Rom and his companions, who are determined to carry out the mission and will go to any lengths to protect the current Order, is one of the most intense struggles ever. The struggle for power at any cost has seldom been more graphically portrayed...stopping at nothing, including manipulations, betrayal and fratricide. The desperate and often impossible struggle of the heroes will awe and inspire. While there are many underlying themes in this complex story, there is one that seems to stand out. No one is god except God. And when man attempts to change the plan that God has set into motion, the consequences are horrendous. Attempts by man to play God are doomed to fail. Without ever “teaching” this concept directly, Dekker and Lee make it very clear. For anyone who has not read Ted Dekker, there are many treats in store. 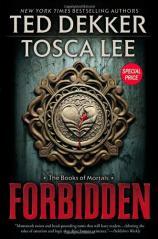 For those who enjoy FORBIDDEN, we have two more in the series to look forward to. So it's a win-win.